Tektronix oscilloscope. 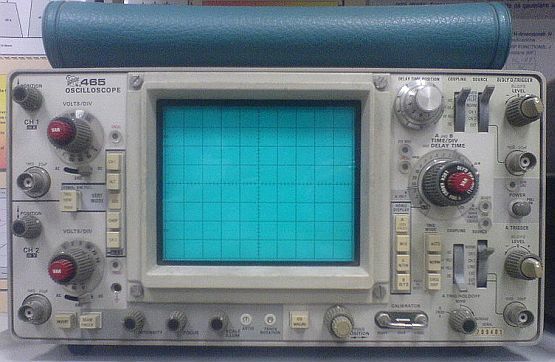 This was a popular analog oscilloscope, portable. 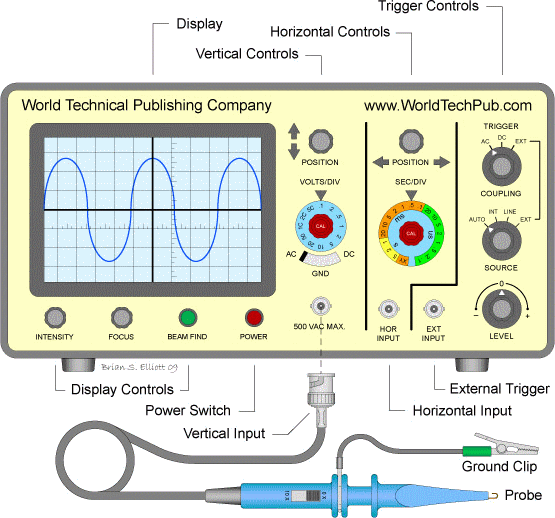 Oscilloscope - Wikipedia Oscilloscopes are used to observe the change of an electrical signal over time, such that voltage and time describe a shape which is continuously graphed against a calibrated scale. The observed waveform can be analyzed for such properties as amplitude, frequency, rise time, time interval, distortion and others.